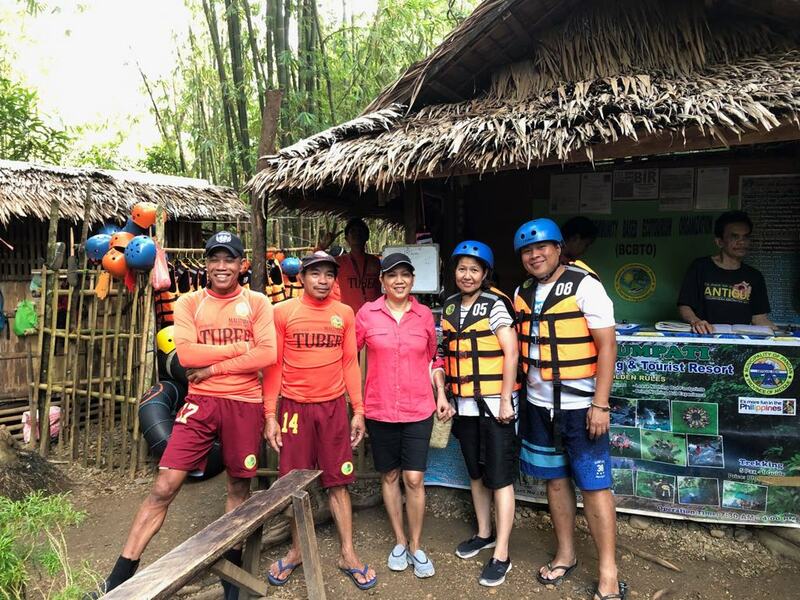 During our recent trip to Pandan, Antique, we were treated to an experience that truly is memorable. Who knew that a cold spring was situated in this sleepy town of Pandan? 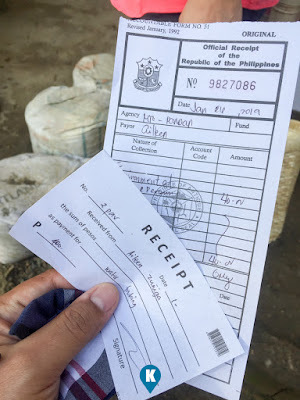 I only found out about this place when I created an itinerary for our Panay Island trip. Pandan, Antique is roughly 35 kilometers away from Caticlan, Aklan so mostly those who visit this place are those who went to Boracay. 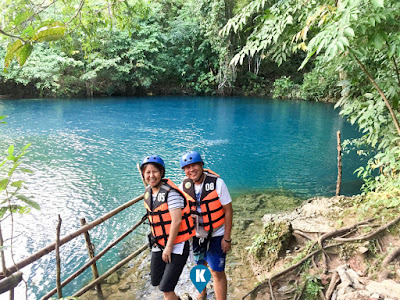 The latter being the main destination of the region, and this one is made a side trip nowadays for those who want an alternative to Boracay. But if you ask us, we like this place more than Boracay, and let me tell you why. The town of Pandan is your typical municipality where farming and fishing are their main industries. This is also a place where you can find a mountain range complete with a virgin rain forest. 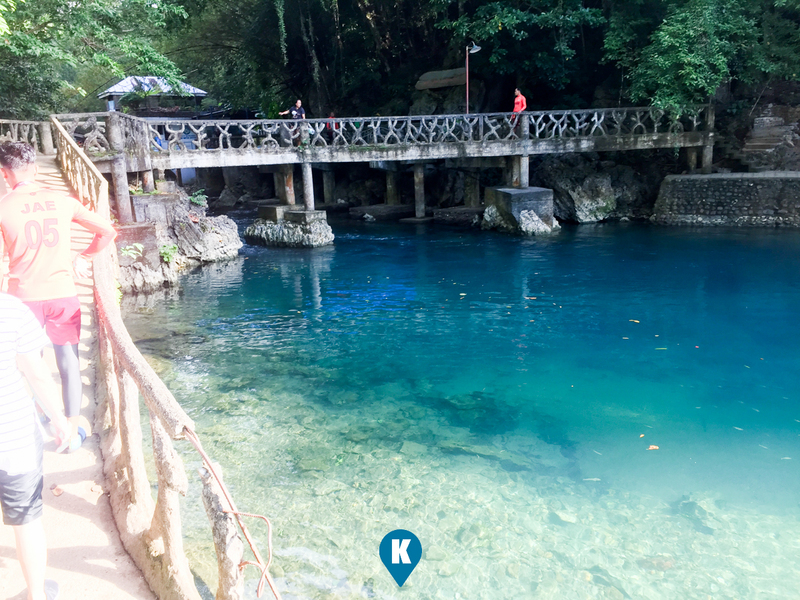 So it is not surprising that a clear cold spring would sprout from its roots and provide clean water for the people of Pandan, Antique. The water from the spring is so refreshing, you can even taste and drink the water from the river itself. We tried this and true, the water is sweet. An ideal water source for its residents. 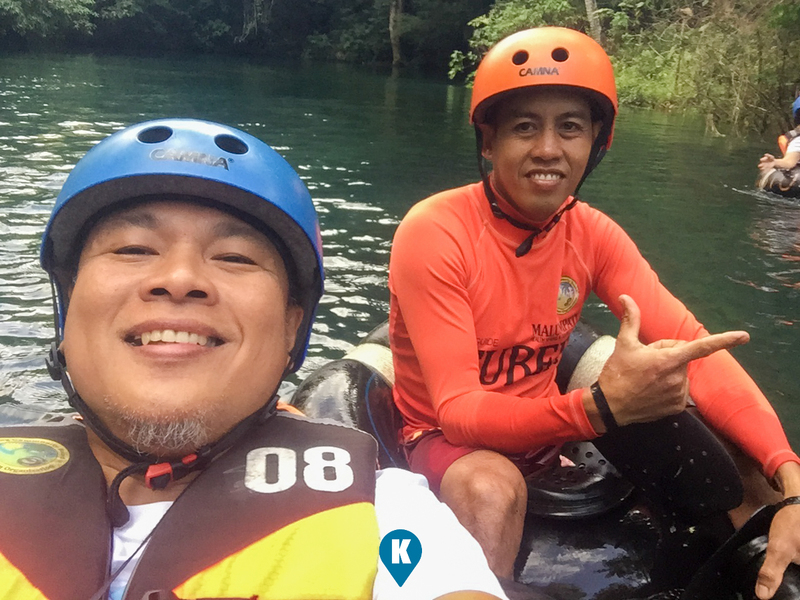 Now the people of Pandan developed the rivers that emanates from the head spring so that water tubing can be done for tourists. 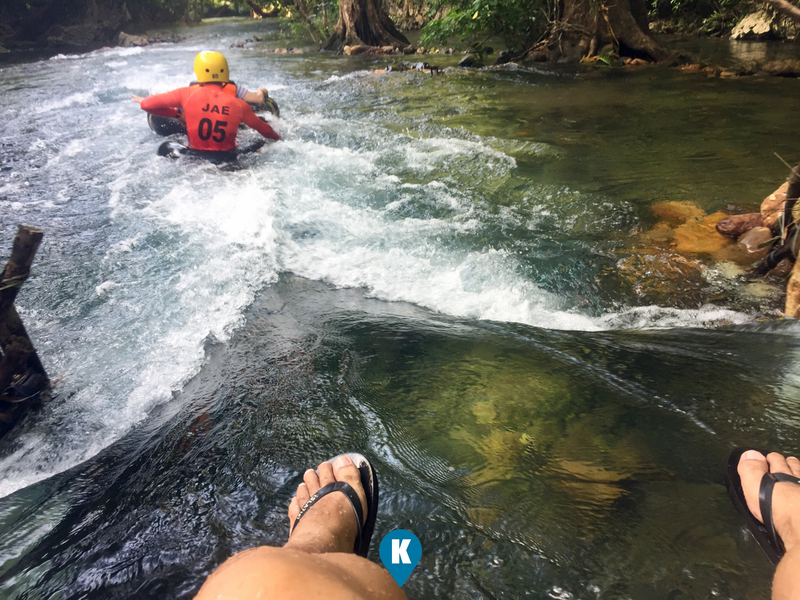 Its clear waters, you can see the bottom of the river in most parts is a welcome treat for urbanites like us. The residents likewise improved the place so much that aside from providing tourist facilities, they were really protecting and maintain the environment. Now on to our experience. 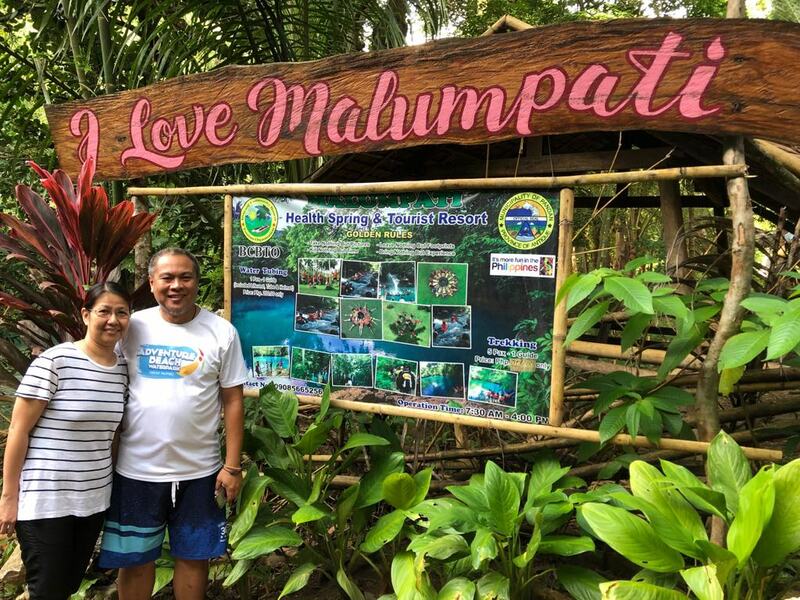 This trip of ours to Malumpati was facilitated by the beautiful people from Pandan Beach Resort. As this place is a popular tourist spot, we suggest that you come in early, preferably before 830am, and that is what we did. The place is a bit of travel from town proper (we will discuss how to get there in a moment) so I suggest adjust your breakfast accordingly. Once there, simply register and pay the necessary fees. Environmental fees are Php20 and the Water Tubing fees are Php200 each. 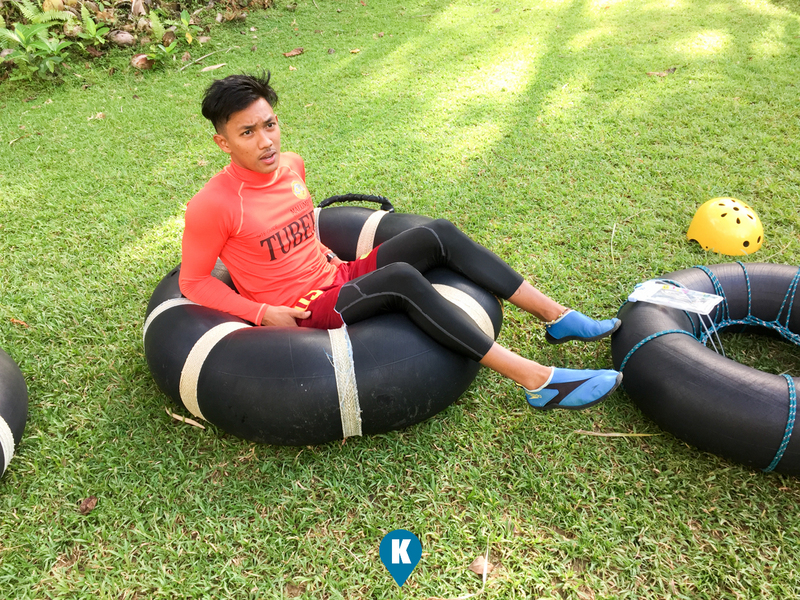 The water tubing service already includes a guide and the use of vests (very safe), helmet (very nice) and the water tube itself. I was told there was an entrance fee but I forgot to ask how much. (All these fees are included in the tour package provided for by Pandan Beach Resort). So after clearing these fees, you are then joined by your guide to the jump off point. Yes, even if you see that clear sparkling water on your right, that is not your starting point, you will traverse for a minute or two to the actual people who manage and operate the water tubing services. NO fees anymore to be paid here. If you have things that you don't want to get wet, its now time to deposit them here. At this point, you are to register your name and sign a waiver form. Your guide will provide ziplock for your phone so it won't get wet. A bit of selfie poses here and there, this is your jump off point. It takes a good 10 minutes hike from here to the actual start of the water tubing or the head spring they call it. Better have your sturdy slippers on as you will do a bit of hiking here. Nothing extreme but the trail is well maintained but to remain close to nature, it isn't paved. Now along the way, there are a lot of selfie spots here. To add more beauty in your shots, your guide is also well versed in taking photos, so give them your phone and pose away. I counted we had 4-5 selfie designated areas that you truly bring out the model in you. Thanks to our guide, we also had our "drone" shots. We won't spoil the shots, just come here and you will experience them yourself. Nature here already impressed us so much, the clear sparkling river, the sound of the forest, what surprised us more is how the Malumpati guides were so systematic. Prior to us getting into our water tubing experience, we were given a short seminar on proper water tubing practice. 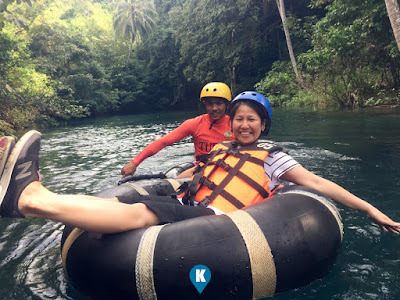 How we should sit, how we should hold on to our phones (taking pictures) and to the tube at the same time, and best of all, how to truly enjoy the beauty of the river water tubing. Wow, our guides really knows their stuff and of how for tourists like us (idiots as to nature) would enjoy the experience correctly. There were a lot of safety lectures for us as well, making us feel secured with what we were about to do. So if you are the OC type, you will love this part of the program. Now when we got into our water tubes in the head spring, our guides were there to make sure we were properly "seated". Then off we went. Tip - better to have one of your phones with the guides. They know how and when to take great pictures of you shouting and enjoying the ride. 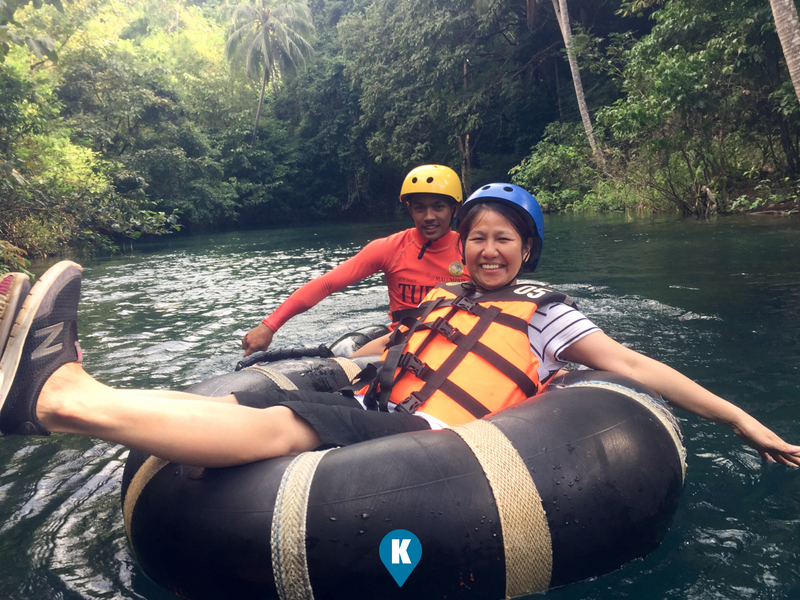 The water tubing experience is a short ride but I know for a fact time stands still when you are having fun. The river is not extreme so the slow flowing river will surely make you enjoy the beauty of nature that can be found only here in Pandan, Antique. Our guides have some short stories to go along our ride thus it was nice learning some cool facts about the river as well. Chit chats like this pushes your experience to a higher level if you ask us. Information is powerful as most say. 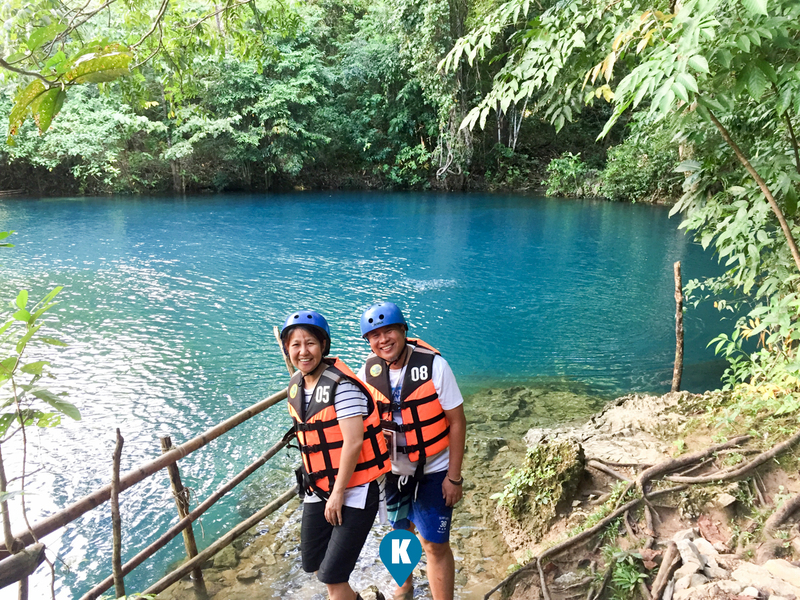 After some twists, turns and jumps, you will reach the clear blue waters where you came in. Wait there's more. Your guide will give you a short goodbye antic for you to remember so stay tuned. 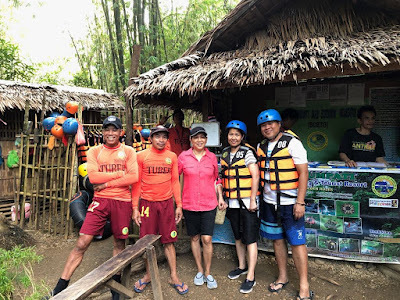 The water tubing is just a short ride, but is truly a memorable experience if you follow these tips. They said the waters of Malumpati are cold ,but I say this place is hot. 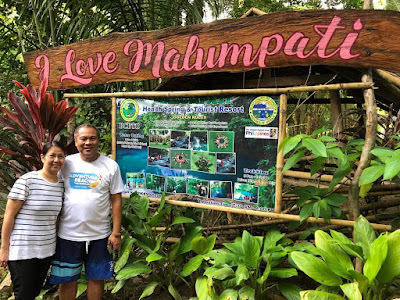 Malumpati Cold Springs rocks!!!!! !